Did you suffer harm because your doctor misdiagnosed your oral cancer? If you or your loved one suffered harm because a doctor misdiagnosed or failed to diagnose oral cancer, you could qualify to file for medical malpractice. When a doctor misdiagnoses a condition as serious as oral cancer, he or she puts the patient’s life at risk and causes physical, mental, and emotional harm. An oral cancer misdiagnosis lawyer can help you prove your doctor’s misdiagnosis should be considered medical malpractice. The legal team at Medical Malpractice Help is dedicated and compassionate, and we never stop fighting for our clients. We take the outcome of your medical malpractice case as personally as you do, which is why we do not charge a fee or get paid until we have recovered money for you. We help victims of medical negligence across the U.S. To schedule a free consultation, call us today at 855-633-2757. If Your Doctor Missed the Symptoms or Risk Factors for Oral Cancer, He or She Could Be Liable for Malpractice. Aside from the well-documented symptoms of oral cancer, the disease has several risk factors, as well. Some relate to lifestyle, while others involve immutable characteristics like race, gender, age, and genetic history. When you present symptoms that might suggest cancer, it is your doctor’s duty to ascertain your complete medical history and get a clear picture of your lifestyle, habits, and family history. Then, he or she can assess your risk of certain conditions. A failure in this area can be not just careless or negligent, but life-threatening. This includes cigarette, cigar, and pipe smoking, as well as the use of chaw, dip, and other smokeless tobacco. A person who uses any form of tobacco has a risk of oral cancer that is many times greater than that of a non-tobacco user. Heavy drinking also carries an elevated risk of oral cancer. As much as 70 percent of patients diagnosed with oral cancer have a history of excessive alcohol use. Using tobacco and drinking alcohol to excess compounds the risk both of these habits present. Popular in Asia, betel quid and gutka are spices that people chew like tobacco. These substances also have links to higher rates of oral cancer. Having HPV raises your chances of oral cancer. Oral cancer is twice as common in men than women, though many researchers believe some of the difference could be associated with traditionally higher rates of alcohol and tobacco use among men. Oral cancer is most common in patients over 55, as it often takes years to develop. Oral cancer that occurs because of HPV is a notable exception to this trend, however. A history of sunburn or exposure to UV rays increases one’s chances of developing cancer of the lip. We Will Gather Evidence and Build a Strong Medical Malpractice Case on Your Behalf. As long as we can show indisputable proof that a doctor-patient relationship existed, we can establish a duty of care without much problem. A duty of care refers to your doctor’s professional responsibility to uphold a certain standard of care when treating patients. We show that your doctor breached the duty of care by comparing his or her actions to what a reasonable doctor would have done in the same situation. If we can convince a jury that a reasonable doctor would have made the correct diagnosis of your oral cancer, we can prove this breach occurred. After we establish a breach of duty, we must connect your doctor’s actions to your injury. For a missed oral cancer diagnosis, we can show how your condition worsened because of your doctor’s failure to identify it and begin treatment. As a result, the treatment you received later was more painful and more expensive. Damages refer to the losses you suffered due to your injury. They can be economic—meaning actual financial losses, such as medical bills and lost wages—or non-economic—including other compensable losses, such as pain and suffering. After we investigate your medical malpractice case , we can explain how much compensation you might be entitled to because of your doctor’s misdiagnosis. Call 855-633-2757 Today to Schedule a Free Case Evaluation With an Oral Cancer Misdiagnosis Lawyer. 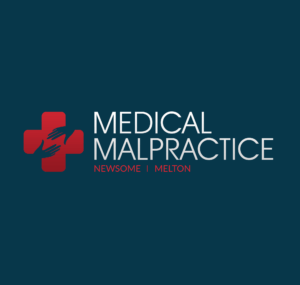 At Medical Malpractice Help, our medical malpractice lawyers can help you pursue the compensation you deserve. We offer free consultations and case evaluations. We can learn more about your case, answer your questions, and help you decide what to do after a misdiagnosis of oral cancer. For an appointment, call us today at 855-633-2757.